There are currently more than 900 designers across different organisations helping government work better for users. Our Design Profile series shines a spotlight on the design teams in different organisations, looking at how they are structured, how they work and what it means to be a designer in the public sector today. The Department for Work and Pensions (DWP) is responsible for welfare, pensions and child maintenance policy. As the UK’s biggest public service department, it administers the State Pension and a range of working age, disability and ill health benefits to around 20 million users. 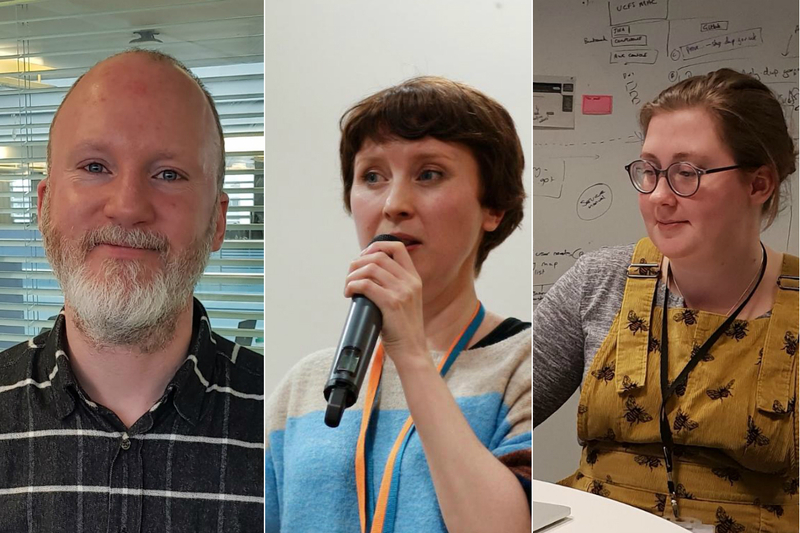 We spoke to 3 designers at DWP Digital to find out how design works in the department, what brought them to government and the satisfaction of making things better for everyone. 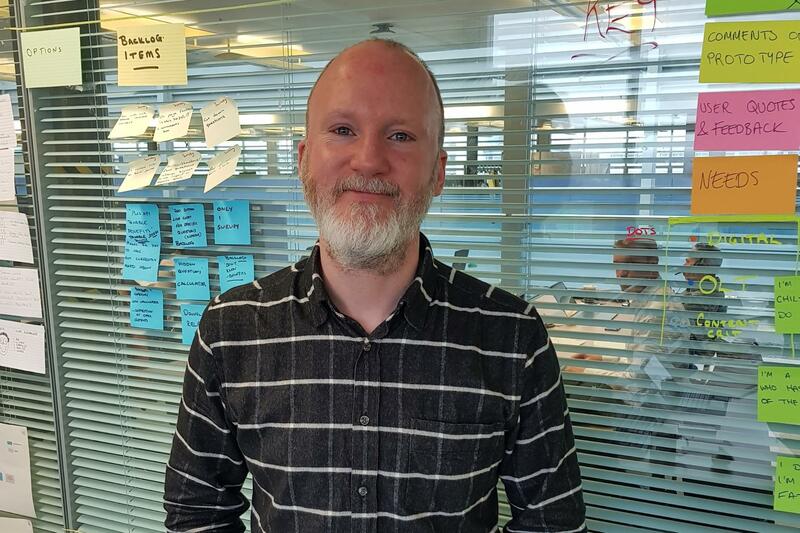 I’m a Service designer based at DWP Digital in Blackpool and my current focus is on the health part of a user’s journey. I’ve been here for a year-and-a-half and seen the team of designers grow around me. When I joined, it was just me and a user researcher for the first 6 months! Now, we have a full team of designers based across Blackpool and Leeds. Before DWP I worked in other public sector organisations including in the NHS and local government. I’ve always been attracted to public sector work and places that make a difference - and even though DWP was a big leap in terms of size, it felt like a natural progression for my career. Working here seemed like an ideal chance to influence changes in health and disabilities on a larger scale and the opportunity to work on some weighty problems. These complex issues make every day seem meaningful and there’s a huge potential for impact. I can’t help but feel passionate about what I’m doing. One of the best things about working here is having the creative freedom to approach design challenges in different ways. The cross-government design community helps reinstate your confidence in your profession. Through events and reading blog posts and advice, it helps reinforce what you’re trying to do with service design. This helps when you’re working in a small team and your work is being challenged - it makes you feel ‘OK, I’m doing the right thing, it’s just really hard’. One thing that would further help embed designers in government would be having more design advocates. Having more leaders who promote service design would be helpful. I came to work in government because I wanted to work on content that helps people. In my previous work I was used to dealing with lots of opinions about what words I should and shouldn’t use. But the most important voices - those of the people I was writing for - were unheard. In government, these voices are the first and most important reference point. By listening to them, I’m able to chip and chisel away at a problem until it turns into something like a useful answer. I’ve been a content designer since March 2016 and before that a writer of one kind or another for about 15 years. I started out as a video games journalist, before becoming a copywriter. That role then morphed into something much more user-centric. I was able to think about how the words I used affected the people I was writing for rather than meeting a brief. In my current role I’m based in Newcastle and work on child maintenance services. My job is to try to make information for parents as clear as possible so they can sort out the financial support they need for their children. Before joining the child maintenance team, I worked on DWP’s retirement and bereavement services. In government there’s a real sense of a lot of talented people thinking hard about making things better for everyone. Of knowing that someone, somewhere, might have an idea that could solve the problem I’m looking at. Government can be big and overwhelming and confusing - especially to many working within it - which is why so many people are working to make sense of it. That means working together on big and small projects, sharing ideas, asking ‘why?’ a lot and never forgetting who we’re working for. I’ve found that being trusted and supported to do my job the way that works for me has been immensely helpful. If I need some quiet time to get stuck into a tricky piece of content, I can work from home. If I need to go through a problem with other designers, we can find a room and plaster the walls with sticky notes. If something is affecting the way our team works, I can spend time thinking about a way around it. The thing I enjoy most about my job is working with user researchers to find out whether or not something works. If it does, great – on to the next problem. If not, then we figure out why and go again. And I enjoy talking with other designers. Sometimes the best answers come when you walk by someone’s desk and spot what they’re working on. I’ve been with DWP for just over 2 years - before that I was working at the Royal National Institute of Blind People in the Digital Accessibility team. The user research team at DWP are embedded in project teams, working with lead user researchers who oversee themed areas. I’m currently working on Universal Credit-related projects. I work closely with interaction and content designers, product owners and developers. It’s important that the whole team understand the experience of our users. I also spend a bit of time working with policy, communications and operational colleagues to understand how the work our team is doing can have a wider impact while still meeting the aims of the policy. During my time here I’ve worked on a number of projects with different priorities, so I’ve developed a good knowledge of a variety of research methods I hadn’t used before. 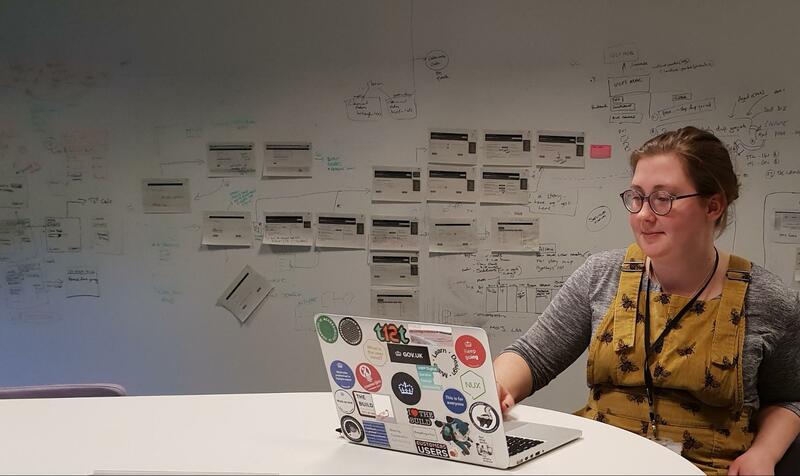 The user research community and the accessibility community have been particularly helpful for understanding methods I hadn’t used before and for questions around expected behaviour for assistive technology. I really enjoy speaking to people, learning about their experiences and how this affects how they use the services we’re working on. I’m motivated by the scale of the work that we do, it has the potential to affect millions of people. Government is hiring. If you’re interested in joining a community of more than 900 designers working across departments, you can see our current vacancies at www.civilservicejobs.service.gov.uk. You can find out more about design roles in government in our career framework and you can follow @DigiCareersGov to find out about our latest opportunities. Follow DWP Digital on Twitter and sign up for email alerts.